I love pumpkin, how can’t you? I usually make a TON, I mean a TON of pumpkin recipes in the fall, but with having a newborn, I haven’t had as much time to do so! I did make some quick pumpkin bread last weekend and I plan on making my to drool for as my husband says pumpkin chocolate chip bread this weekend! 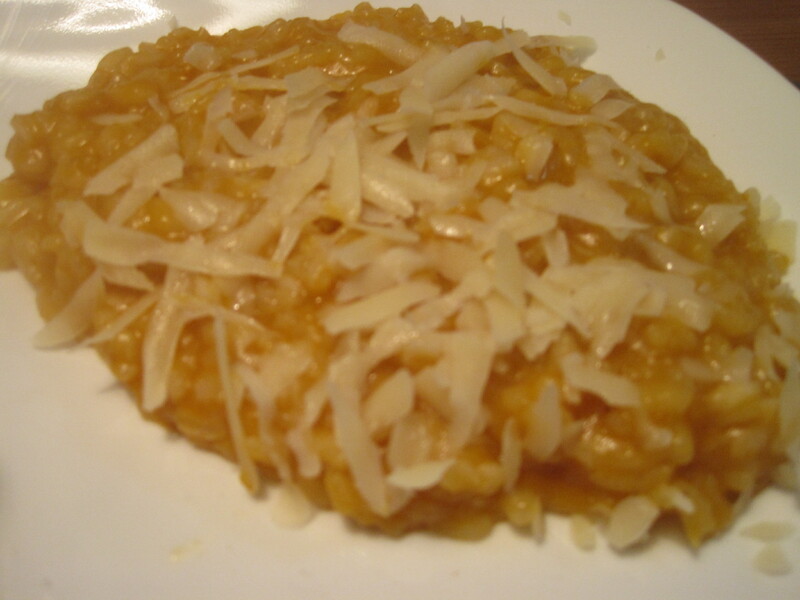 Over the weekend we were watching something on TV and a pumpkin risotto came up, so I researched a couple of recipes and came up with a pretty basic recipe on my own. I wasn’t sure what to pair it with, I was going to make a fish, but decided to do it with a pork chop and the combination worked well. But back to the risotto, when I joined the blog panel for Shop Rite, they sent us all a huge package of goodies and one of those was a nice sized box of risotto! 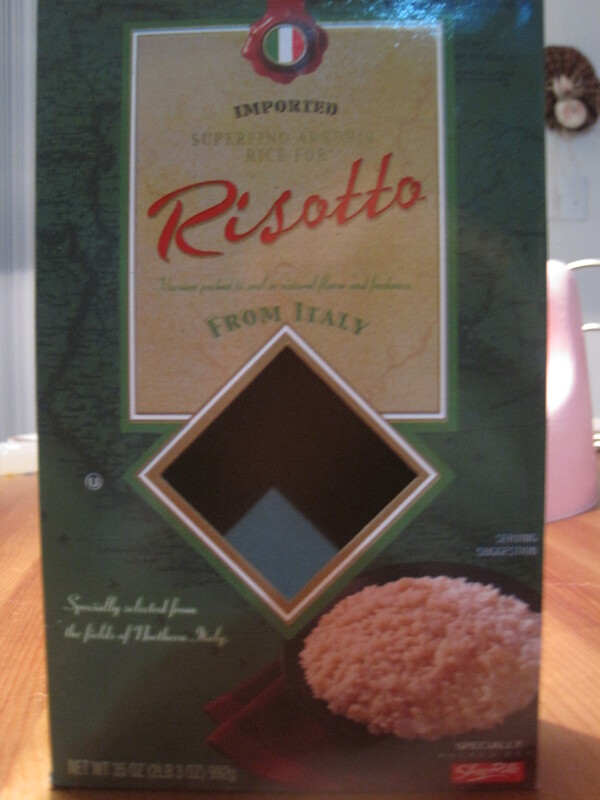 You can find this risotto in your local Shop Rite! Heat a large skillet, add the onion and cook till translucent. Add risotto and spread out so it’s even in the pan and cook till it also starts to turn translucent. Add chicken broth and make sure it’s covering the risotto. Add water if it doesn’t. Continue to simmer risotto, add pumpkin about 15 minutes into cooking, also add white wine at this time. You may need to add water every 10 minutes or so. You need to keep your eye on the risotto as the water cooks off fast. Make sure you taste it often as well. Once you’ve tasted and it’s completely done, serve immediately and top with grated fresh parmesan cheese.